The project entails measuring, cutting, sanding, assembling, painting and more, all of which are skills that the classes cover. Students have been preparing the braces, seat slats and supports and look forward to unveiling the finished products. Earlier this school year, they made cutting boards, Nok hockey boards and speakers, among other items. 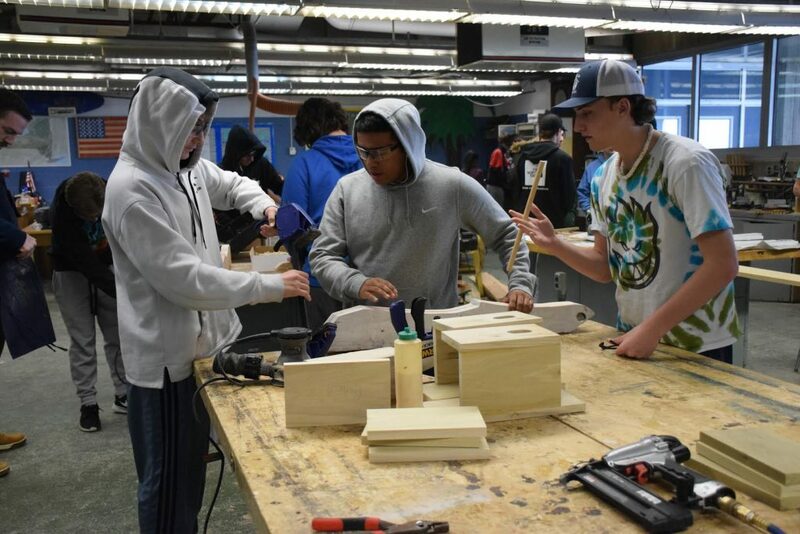 Photo caption: Students in Long Beach High School’s wood shop classes constructed Adirondack chairs, several of which they will donate to the Northport VA Medical Center.